Koldinghus is a Danish royal castle in the town of Kolding. The first castle on the site was founded by Christoffer I in 1268, but the oldest building remaining is the North facing side of the castle originally built by King Christoffer III (1416 to 1448) who was King of Denmark, Norway and Sweden during the period of the Kalmar Union. Koldinghus is today a museum, and contains furniture from the 16th century and later, paintingss, crafts, ceramics, also as hosting periodic themed exhibitions. One interesting event that took place at Koldinghus in recent years was a re-enactment of fire (using smoke, lighting and sound effects) that had heavily damaged the castle in 1808, when the castle had been garrisoned by Spanish troops during the Napoleonic wars. The re-enactment took place on March 29th 2008 on the date of the 200th anniversary of the fire. Absolutely beautiful forms in full-page color. 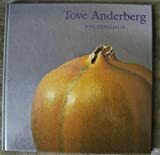 Retrospective exhibition of the ceramic works of the North Jutland artist, Tove Anderberg at the Castle Church at Museet pa Koldingus. Koldinghus Castle on the Jutland Peninsula of Denmark played an important role in Danish history from medieval to modern times. Filled with full color pictures and history of the castle.